​​​​​ GRAPEVINE – A multifamily and retail development project at 3570 and 3580 N. Grapevine Mills Blvd. and 3155 Stars and Stripes Way was approved at the joint City Council and Planning and Zoning Commission meeting recently. 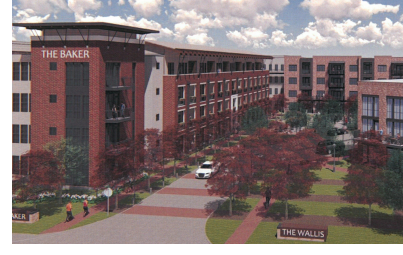 The project will be broken into a phase of retail and two stand-alone four-story structures and will be called The Shacks, The Wallis and The Baker, respectively. Also included in the approved proposal​ are two, three-story brownstone structures. ​Check ​out DFW Multifamily and Retail Market Research.